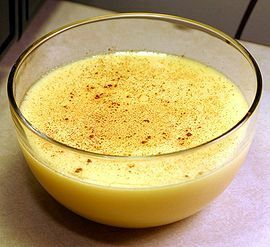 Natilla is a Colombian food recipe for pudding. Put 1 cup milk, sugar, and cinnamon in a saucepan. In a bowl, dissolve cornstarch with remaining milk and add to saucepan. Stir constantly over low heat until sugar has melted and mixture is thick. 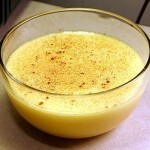 Spoon into glass dessert dishes and sprinkle with cinnamon. Chill one hour or more. Top with whipped cream if desired.